Going around trying to connect the dots…. 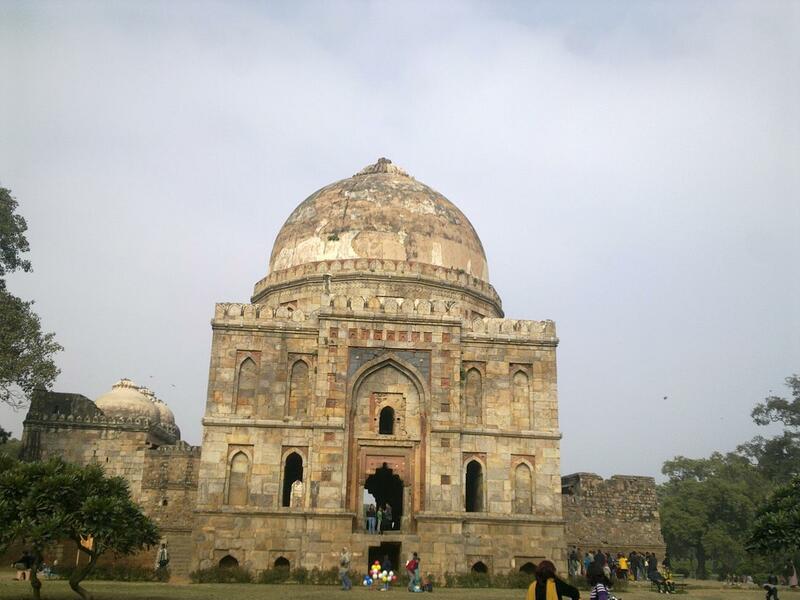 Lodhi Gardens, I found on a recent visit is divided into three areas. These distinctions are around the main monuments at these gardens – the Sikander Tomb, Bada and Sheesh Gumbad and Mohamamed Shah’s tomb. 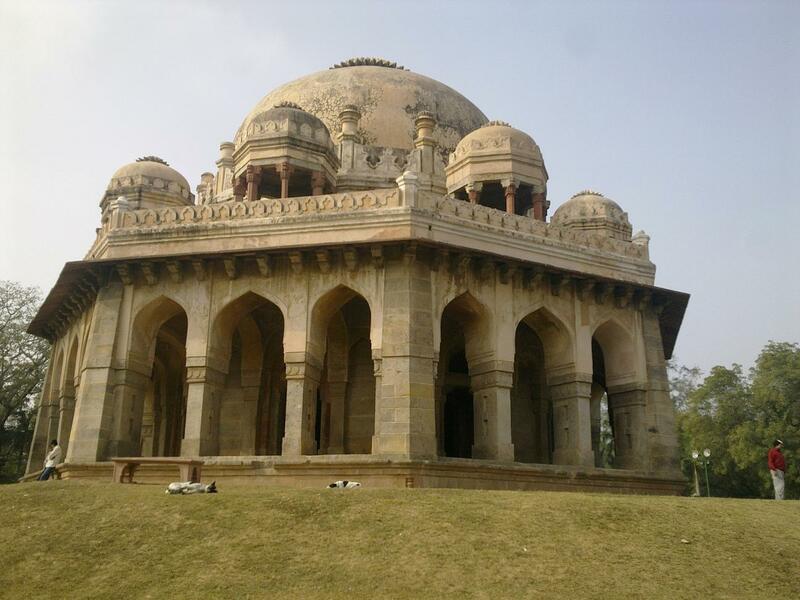 The first one – Sikander Tomb is a shady place isolated by the remains of a watercourse, which once connected to the Yamuna but now acts as a boundary to this area. The seclusion along with the numerous crevices among the ruins help the couples who want privacy in the center of Delhi. The scene across the “Khairpur ka Pul” over the watercourse is completely different. The couples give way to families and large groups of people here. The huge green expanse under the shadow of two imposing structures – Bada Gumbad and Shish Gumbad is seemingly a famous picnic spot. There are hundreds of people, all of them carrying food baskets and sheets to sit on and enjoy the sun. Many of the groups have bats and balls and the adults are re-living their younger days by hijacking a game which their children started. In one corner, a group of oldies are sitting, heavily dressed while some sweating youngsters in their track suits jog around on the track. The monuments themselves are in a similar state as some of the other ones in Delhi – dilapidated both from outside as well as inside (though the restoration work has supposedly started in 2009). 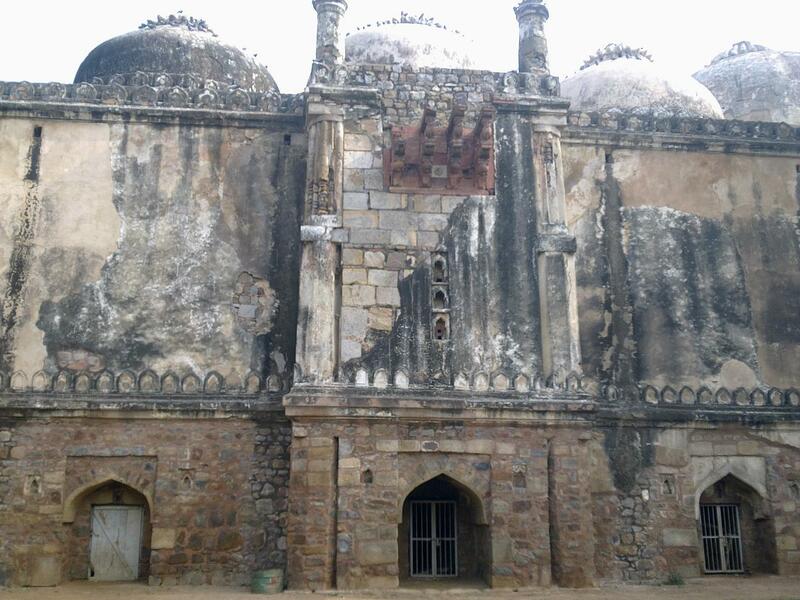 They are tombs from the Lodhi period (the ones before Mughals arrived). The first look at the monument, however reminds you of the Khushwant Singh’s words that the dome of the Bada Gumbad looks like a woman’s bosom. Well, use your imagination. One benefit of the location of the gardens is the nearness to the Khan Market. So after you have had a nice long walk, you can always go try out the variety of delicacies on offer there. Or may be vice versa.